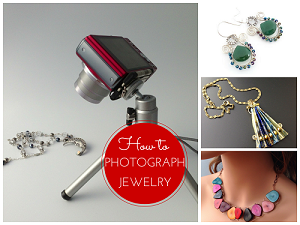 One of the most popular ways to incorporate ribbon into jewelry is to use it like a cord. However, there are other ways. So as if you have loads to spare time, here are some wonderfully inspirational tutorials to get your creativity rarin' to go. 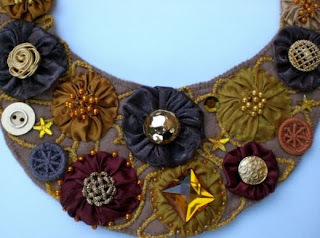 This one by Ornamentea uses strips of frayed ribbon (tutorial no longer available). 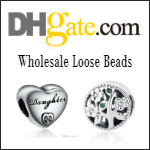 With the right beads, the end result is simply stunning! 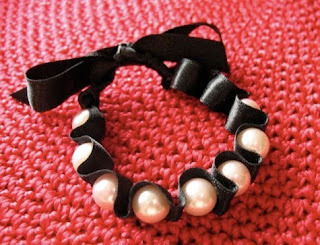 Jessica over at the Happy Together blog was also inspired by another Lanvin pearl and ribbon necklace. As she didn't want to fork out $1350, she made her own. Her ribbon and pearl tutorial involves crocheting organza ribbon. 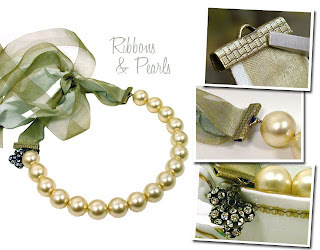 Ornamentea's ribbon and pearl tutorial (Update :no longer available) is different but oh so gorgeous. The Swarovski crystal rhinestone balls accent add class and elegance to this project. Anji Davison over at the Pom Pom Emporium blog has this awesome bib tutorial (Update : no longer available). 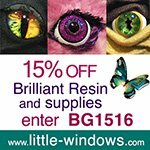 You have to pop over and ogle the possibilities this highly creative artisan showcased. 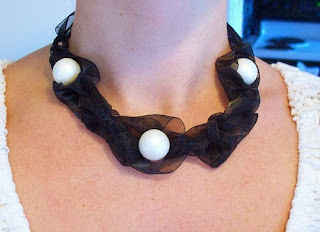 The ribbon in her tutorial is for the ties but you could certainly use ribbon to embellish the bib. 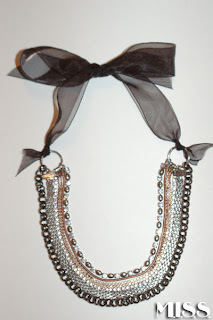 It is similar to the rhinestone bib tutorial I wrote about not long ago. However her blog post shows what else you can do besides glue rhinestones on the bib. 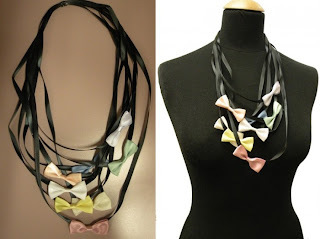 Jenna C on Cut Out and Keep is the designer for this awesome Bow Dainty necklace. As the ribbon lengths are long on her necklace no clasps is needed. But you could always alter the lengths and add a clasp. She is right, the necklace will look cool with either casual or more formal outfits. I've written about this woven ribbon pendant tutorial before but here it is again with this cluster. It is by Diane Gilleland over at Craftstylish. This beautiful multi-chain necklace couldn't be easier as you link all the chains to a giant jump ring and use ribbon as the tie. Kudos to the Hotstepper on M.I.S.S. 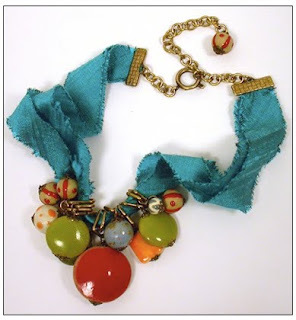 This jade and ribbon tutorial from the Martha Stewart site is a good one if you want to try knotting. 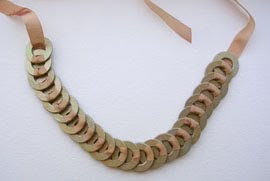 The Small Object was inspired by an Anni Albers zinc washer and grosgrain ribbon necklace. It took many attempts before she could make her own Ribbon and Washer necklace.This could be an eco project if you recycle old washers. 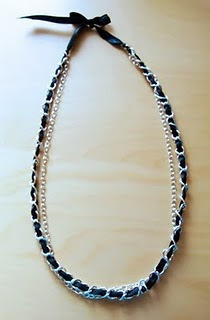 Vision in HD has another easy to do double chain and ribbon necklace. The ribbon is woven in and out of the links. 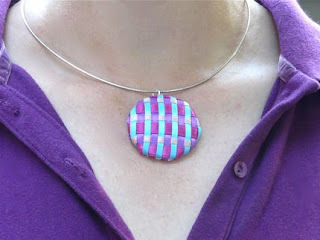 Johanna Love from the Stampinton Co. has 2 video tutorials for making a wire wrapped charmed necklace. Instead of charms, you could wrap beads. 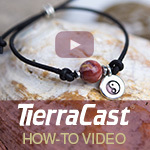 Brightlings Beads also has an easy video tutorial to make what they call the Mermaid Wave necklace. There are so many here I like a lot. thank you for sharing. These are great designs Pearl...I've actualy considered doing similiar ideas myself!!! Will check out some of the links! I agree these are great, I see ribbon in my future. 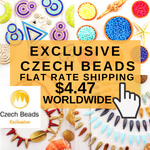 I've been making handmade jewelry for years and have just recently gotten in to selling on Etsy and exploring the blogging world. 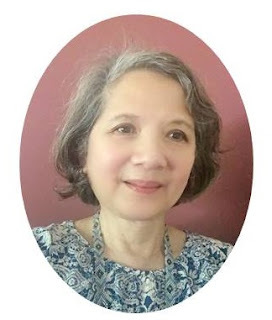 Your website is full of great tips and info- thanks! Always nice to be inspired by other artists! 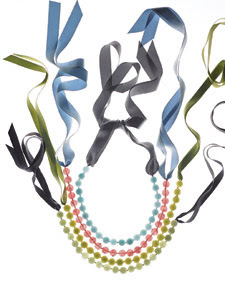 Ribbon jewelry can be so pretty. I once made a swarovski heart pendant ribbon necklace but I quickly found getting the bicone crystals on the ribbon was absolutely a nightmare. Maybe I'll have to give it a try again since that first necklace was very early on in my designer career. These are great Pearl, and came at a great time. 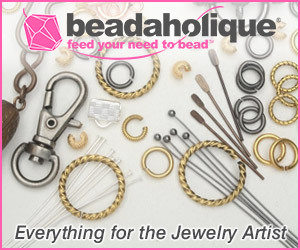 I have just starting exploring jewelry making with ribbon. I see all kinds of pretty jewelry with pretty ribbon. But I just can't seem to find any pretty ribbon when I go out looking. I love the wire wrapped picture pendants by Johanna Love, it is very nice. Great tutorial too. I have a few of the mini picture frames I bought about a year ago and haven't don't anything with them. I think that I will give Johanna's design a try. I too have difficulty finding the right ribbons. Guess I should keep on trying!